Important: Our Black Widows are the genuine product from Kingtons. The Black Widow Dry Herb Vaporizer, like their Black Mamba model, is another amazingly good value device from Kington. 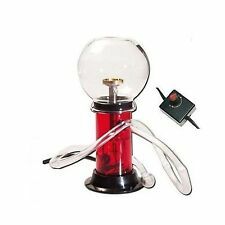 But where the Black Mamba can only be used for dry herbs, the Black Widow vaporizer is suitable for herbs, oils and waxes. UK Authorised Seller | Free Rasta Grinder included !!! The Dr. Dabber Ghost vape pen is the original low-heat vaporizer pen for oils and waxes. This eliminates the burned, electric taste synonymous with vaporizer pens, ensuring you can enjoy the flavor of your oils or waxes. Authorized Distributors for Xvape Products. Xvape Vista. Vaporizer - Enail For Concentrates. Unique Glass Bubbler with Enhanced Airflow. Glass Bubbler. Perfect for Concentrates. Vista Main 2900mAh Battery Unit. Herbva Viva device. Pure ceramic chamber for ultimate baking experience, no combustion. The most compact and efficient portable design. Key Features Cleaning brush. Fiber carrying bag. 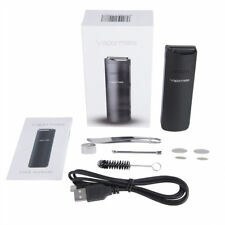 Highly rated premium quality Nokiva Vaporiser in (Black). Nokiva Vaporizer. Advanced OLED Display Screen. High-Tech Full Ceramic Heating Chamber. Slim and Sleek Compact Portable Design. Extra Mouthpiece With Glass Tube. Ou are buying a blk (black mamba) dry herb vaporiser. •easily capable of holding over 0.5g of dry herb. Contents: User Guide, USB Cable, Spares, Multi Tool and Cleaning Kit. Skywalker by VapeMaster. VapeMaster is crafted for the conniosseurs who appreciate. The Skywalker vaporizer by. 8 layers carbon fiber, this new generation vaporizer presents you. 1 x Vaporizer. and a 360˚ Stereo Heating Ceramic Chamber, the Skywalker. Xvape Fog Convection Type Vaporiser Pen. The XVAPE Fog is a premium dry herb and oil vaporiser. It has a high quality anodised aluminium body with stainless steel heating chamber and jewellery grade ceramic mouthpiece. Authorized Distributors for Xvape Products. Xvape Vital. Xvape Vital Vaporizer (Camouflage). 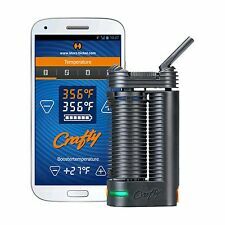 Dry Herb Vaporizer. Glass Mouthpiece - Bubbler - Bong Adaptor. Color Camouflage. Age Restrictions Apply. 5 or 10 minute Auto Cut Off. Our most popular unit for a good, no nonsense dry herb vape. STORM Vaporizer Pen. MV_STARRY_GREY - XVAPE XMAX STARRY Portable Vaporiser - Grey. A small, stylish and fast portable vaporiser from the Colorado based vape experts. “A smart vaporiser that’s easy to use and at a great price, too!”. The flavour was amazing, we found it was best to take a long and slow draw for a bigger hit, superior flavour and a big cloud. 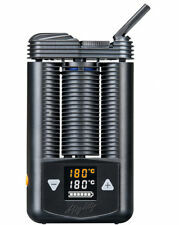 Convection Dry Herb Vapouriser. Pulsar Flow Dry Herb Handheld Vapouriser. Top Vapor Desktop Vaporizers VP500 / 250 / 200 / 130 / 102 - Choose your type. 4 out of 5 stars - Top Vapor Desktop Vaporizers VP500 / 250 / 200 / 130 / 102 - Choose your type. 9 product ratings9 product ratings - Top Vapor Desktop Vaporizers VP500 / 250 / 200 / 130 / 102 - Choose your type. CRATER Deluxe USB Portable vaporizer pen dry herb vaporiser - No nicotine! CRATER DELUXE is slightly smaller than regular CRATER. CRATER portable vaporisers. For the best experience in aromatherapy. 1 x Deluxe USB portable vaporizer with all the accessories. Crater unit size: 10 cm (10mm) long 3.0 cm (30mm) wide 2.0 cm (20mm) deep. Xmax V2 Pro-Storm-Vapormate-Bubbler Bong & Glass Mouthpiece Battery Options ! 3 flexible heat settings - The perfect vape experience. 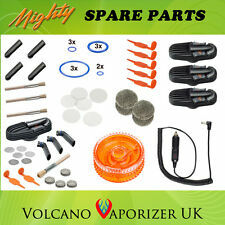 1 x Crater Portable Vaporizer with all the accessories. Crater unit size Elegant - Effective - Compact - Portable - Discreet. 1 x USB charging cable. The HEBE Titan-II. the vaporizer will power off automatically. 1 x Titan 2 Vaporizer. For dry herbs. Micro-USB charging port. 3 x Filter Net. Change between Fahrenheit and Celsius. 3 Fahrenheit degrees adjustable with LED light. Sapphire's easy one-button operation allows the user to choose from five temperature settings between 180C and 220C, heating up in under a minute. 2 x Concentrate Pads. The magnetic mouthpiece cap is held firmly in place when not in use, while still allowing no-hassle loading of the chamber while on the go. 1 x CRATER ZIGGO vaporizer. Our newest and smallest CRATER vaporizer - it's tiny! Crater unit size: 6.5 cm (65mm) long mouthpiece 3 cm (35mm). 0.1g capacity ceramic heating chamber. 3 temp settings - 3 LED indicator lights - one for each setting - 190, 200 and 210 Celsius.